In a well kept neighborhood, this is it: paved road, natural gas, access to school bus. 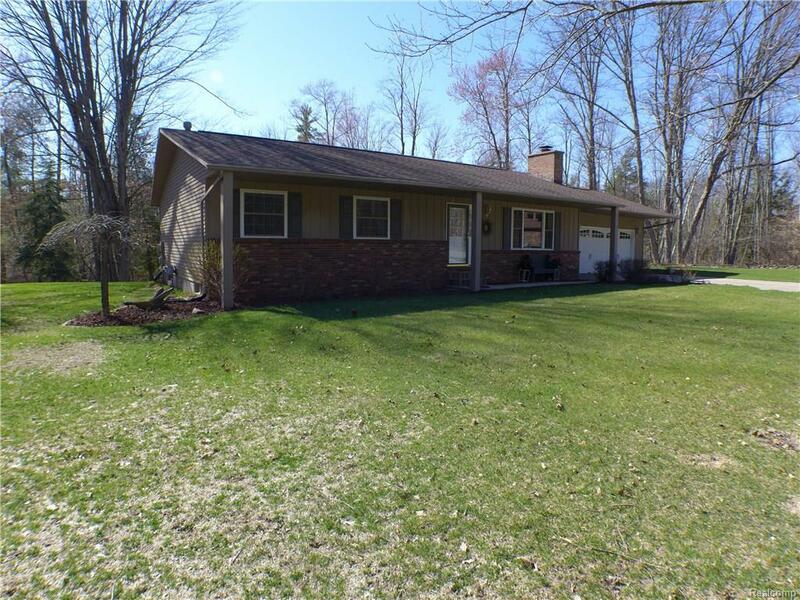 Immaculate, move-in condition 3 possibly 4-BR, 1.5 bath ranch located at the end of a quiet cul de sac on a beautiful lot within short distance to thousands of acres of state land. This home offers newer baths, kitchen + dining combo, spacious living room with natural fireplace, 1st floor laundry, beaming hardwood floors, 2-car attached garage, secluded backyard with above ground pool. The finished walk-out basement provides approx. 700 additional SqFt which includes a 4BR, and family room. Plenty of room for storage in basement.